ROCK OR DIE Monthly #48 is aired at 7:30 pm (GMT+9) on Friday, June 6th 2014. Following 4 bands will be featured on the show. After it was aired in Japan, it can be heard on podcast on our site. 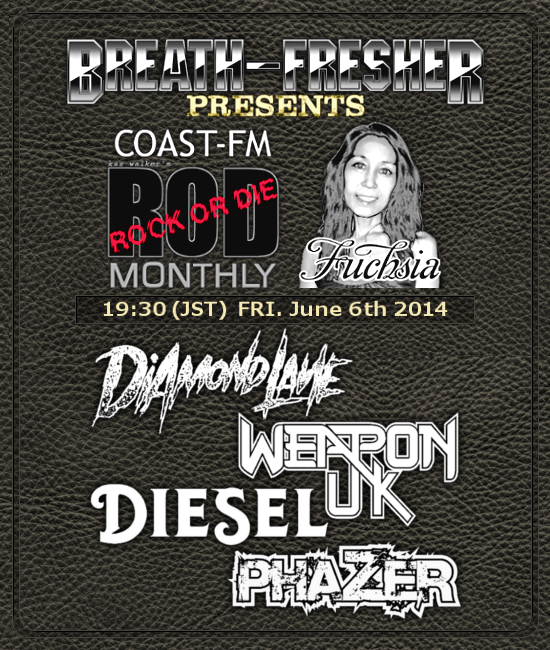 DIAMOND LANE - Album "Terrorizer"
DIESEL - Album "Into The Fire"
WEAPON UK - Album "Rising From The Ashes"